With only 28 days, February is completely finished in just four short weeks. However, this month can still pack a punch for your store with fun, limited-time sales of selected merchandise. Just follow these steps to make them easy! With your staff, brainstorm some items that would be ideal for a short sale. Merchandise items ranging from t-shirts to trade books are perfect. Try to make sure that there is something for everyone! You will have the ultimate say on what items will be featured in your short sale, but think about letting your customers decide some, too! Crowdsourcing the potential products is a great way to get feedback from your customers. Think about utilizing Facebook’s ‘Questions’ feature or a third-party polling application to gather your students’ top choices via social media. To add even more intrigue, announce that in addition to the sales on selected merchandise, there will also be a mystery short sale! This mystery sale is perfect for the final event of the month, and will keep your customers guessing until the very end! Decide on an item that will generate appeal for the majority of your customers. The item remains unknown until the customer comes to the store to see what is marked down! Once items have been selected, plan out a schedule. 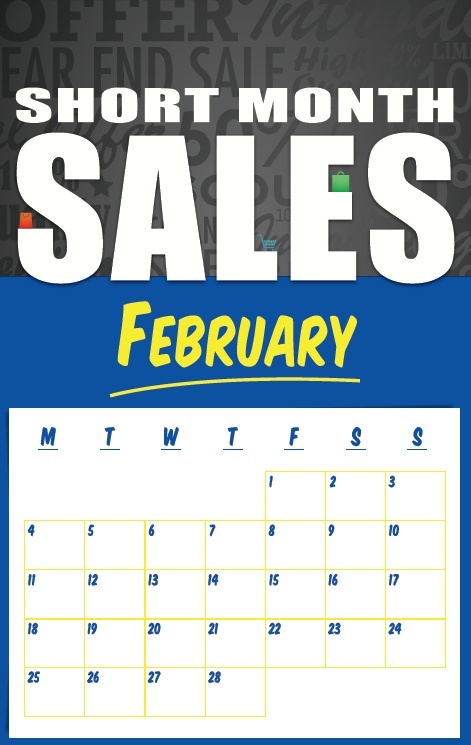 We suggest offering at least one sale every week in February to keep customers engaged throughout the month. In addition to the date, also take into account the length of the sale. Your store can host it all day, or just for a designated time period. Get the word out! 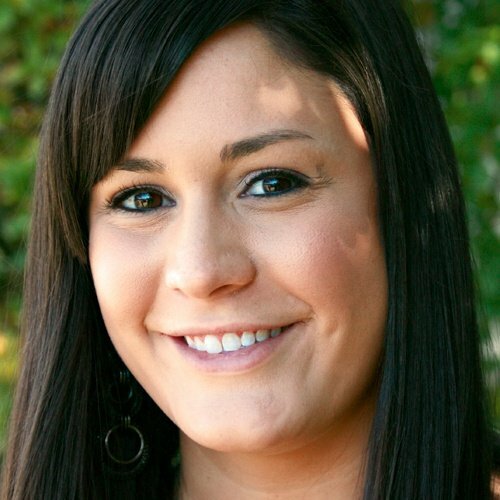 Utilize social media and traditional channels to publicize the sales. A week or two before the first event, announce the special deals that will be occurring during February. Continue to publicize each remaining event two or three days before the actual date to ensure that customers have plenty of time to find out about the special deals and spread the word to their friends. We have created a customizable calendar-themed poster and postcard as well as a Facebook cover photo to help you get students excited about your events. Simply click each image to download, then fill in the blanks and print! Ready your store for the potential influx of customers. Create displays of the featured item(s) and make sure the merchandise is in an easily accessed area of the store. If your store chooses to offer a mystery item, you can create a surprise reveal to go along with it. Consider using black cloth to obscure items in the display and keep customers guessing! Also, be sure and schedule a few extra employees on the days of the sales to ensure quality customer service. 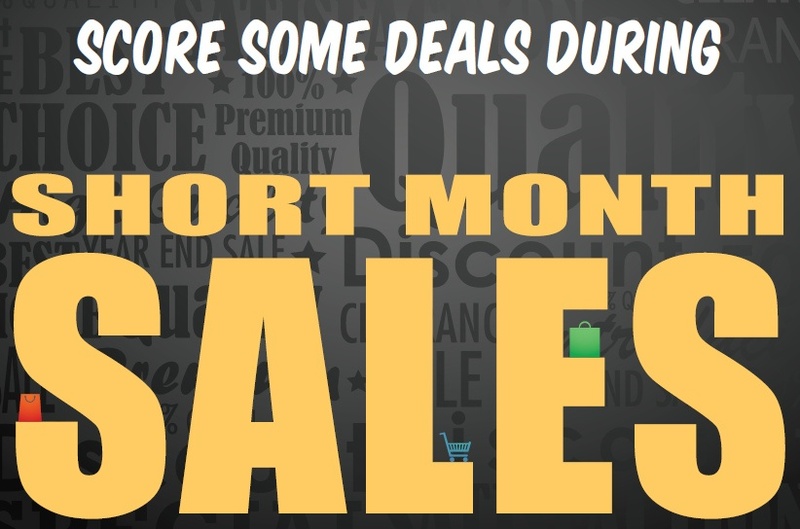 Host the Short Sales of February! Update social media throughout the day with the approximate number of items remaining, length of check-out lines, etc. to keep fans excited. What did you like best about the short sales? Would you like to see similar sales in the future? If the time-sensitive sales help increase traffic for your store, then consider recreating them throughout the year!